India have had a stellar last couple of years: the team has won eight consecutive Test series under skipper Virat Kohli, which has catapulted them to world number one in the ICC rankings. But even though the Indian team has done wonderfully well over the last couple of years, everyone knows that their real test will begin later this year when they embark upon another round of overseas tours. The young Indian team without experience went through a similar cycle from 2013 to 2015 without much success. Even though the team did not win many games, the core of the present team was formed during those tours. The team since their 2015 tour of Sri Lanka has gone from strength to strength and has now finished their run with a crushing 3-0 away win against Sri Lanka. Virat Kohli – Right attitude but does he have the right personnel? The one off test between India and Bangladesh saw some interesting selections by the Indian think tank. Not all selections were popular ones but again there were some good signs nevertheless. Shikhar Dhawan’s selection was kind of forced as KL Rahul fell ill ahead of the test match. The 5 bowler strategy is something which Virat Kohli wants to implement consistently over the next couple of years but again he needs to make sure he picks the right 5 bowlers to do the job in tests. The strategy might even work to his advantage as India does not play outside subcontinent for some time now. The other thing which was evident was that Virat Kohli prefers genuine quick bowlers over swing bowlers. He played both Umesh Yadav and Varun Aaron in the same game along with Ishant Sharma. The test itself was marred by rain and we barely got 2 days of test cricket out of 5, so it was difficult to determine if this combination will actually be successful in the long run. Also it will be interesting to see whom Mohammed Shami will replace when he is fit again. With Kohli and the think tank wanting to go with 5 bowler strategy, it puts lots of emphasis on a strong wicketkeeper batsman. India has Ravi Ashwin coming in at number 7 and the batting to follow after him might not be too reliable. For this strategy to work Wridhiman Saha needs to click as a batsman. We all know that Saha is one of the best wicketkeepers in India but again if he does not score runs with the bat, India might have to look elsewhere. The other selection which needs to be looked at is the second spinner for the subcontinent games. Ravi Ashwin is India’s primary spin bowler but his partner is something which the Indian think tank is undecided on. Previously Pragyan Ojha was the one for the home tests but after his action was reported, he does not look the same bowler with the corrected action. Harbajan Singh was picked for the Bangladesh test but again he cannot be in India’s long term plans. Bajji looked out of sorts and struggled to match Ashwin with the ball. He did pick up three wickets but again those were gifted by some very daft batting by Bangladesh batsmen. It will be prudent for the Indian think tank to think in terms of blooding a young spinner to bowl alongside Ashwin in the home tests. There are some suggestions to bring back Amit Mishra which is not a bad idea either but again Mishra has struggled in test matches even at home. It will be interesting if India actually picks some young spinner for the home tests, someone like Shreya Gopal. Shreyas Gopal has a good bowling record in first class cricket and can bat well too. This will help India in the 6-5 combination which they are planning to employ in tests. India needs to somehow incorporate KL Rahul and Pujara in their test plan. Kohli seems to prefer Rohit Sharma ahead of Pujara in tests but again Pujara is more likely to succeed overseas. The selection of Shikhar Dhawan and Rohit Sharma seems shortsighted and may not benefit India in the long run. Both Dhawan and Rohit are extremely good at home and on subcontinent pitches but again when it comes to overseas tests Pujara and Rahul are much more capable. It will be interesting to see what combinations Kohli will come up with in the upcoming series with Sri Lanka and South Africa. India does tour Zimbabwe next for an ODI and T20 series and it will be the right time to introduce some young players in the team. India also needs to give a chance to players like Kedar Jadhav and Robin Uthappa. It will also be interesting if they would experiment with the bowling. Chahal comes to mind as an option in the shorter format. Virat Kohli has stuck with Karn Sharma but again he does not look like a test bowler. These are exciting times for Indian cricket and we can expect some interesting selections in coming months. Virat Kohli needs to realize that in the longer run the idea is to make Indian cricket team more competitive overseas. Even though horses for courses selection seems good at the moment it will be detrimental to Indian cricket development in the long run. Players like KL Rahul and Pujara need to be in the mix if India needs to develop a team for all conditions. In the coming months we will know what the plan is by the current team management. Even though Dhawan needs to be persisted with as he provides an attacking option at the top of the order, India needs to make sure KL Rahul is somewhere in the mix and is not neglected. The same goes for Pujara. Virat Kohli has lots of tough decisions to make in the coming months. He does have the right attitude as a captain and has an attacking mindset but again he needs to pick the right people for the job for the team to be successful consistently. Bowlers need to be nurtured, can BCCI step up? Injury to Mohd Shami is a blessing in disguise as the Indian spearhead gets a well deserved rest after a grueling world cup. Since 2000, India has had embarrassment of riches as far as fast bowling talent is concerned. From no good fast bowling option in the previous two decades, India ended up with too many in the last 15 years or so. Even though we had lots of bowlers except for Javagal Srinath and Zaheer khan, none of the Indian fast bowlers managed to go past 200 test wickets in the last 20 years. India has always found it difficult to manage fast men, in spite of the overseas bowling coaches, the ability of the bowlers after a promising starts dwindles away after a year or so. The fitness is an issue, they drop pace and in some cases they lose their swing too. The list is endless, Irfan Pathan, Sreesanth, Munaf Patel, Nehra, RP Singh, Ishant Sharma etc. all fall under the same category. The recent interview of former Indian bowling coach Joe Dawes was interesting. He mentioned that the Indian bowlers bowl too much. The format they bowl in is also pertinent information. The 2 months of grueling IPL season followed by endless ODI games and then the CLT20 at the end of this year saps whatever energy the bowlers might have to be available for test cricket. Till the 90’s fast men used county cricket as their learning ground and were fairly successful at that. India’s best two fast bowlers of the last 20 years Srinath and Zaheer owe their turnaround to county cricket. Srinath who was a one dimensional bowler until mid-90’s played a full season for Gloucestershire in 1995 and came back as a different bowler. Zaheer Khan who had lots of fitness and consistency issues came back a changed bowler after a full season of county cricket with Worcestershire in 2006. That trend has come to a halt now. Except for couple of short stints by Sreesanth and Agarkar, Indian players haven’t been allowed to play in county cricket by BCCI. The Indian fast bowlers play in IPL instead which doesn’t help their development as test bowlers in any way. The jam packed international calendar means that the Indian bowlers don’t get to play in domestic first class games either. No wonder the Indian pacemen find it difficult to make an impact in the longer format as they have no experience bowling for that long. India’s current spearhead Mohd Shami who made his first class debut in 2010 has played a grand total of 30 first class games out of which 12 are tests for India. Varun Aaron whose first class debut was way back in 2008 has played a grand total of 30 first class games out of which 5 are tests. Mohit Sharma has 24 first class games to his credit, Ishant Sharma has 88 (61 of them are tests for India), Bhuvneshwar Kumar has 58 (First Class debut in 2007, 12 of 58 are tests) and Umesh Yadav has 40 (First class debut in 2008 and 12 of them are tests). So we see a pattern here. Indian bowlers are over bowled in meaningless T20 games and ODI games which leave them no time to work on their chinks. The bowlers get paid hefty sum to get hit around the park in IPL, so they hardly have any motivation to work on their bowling at the test level. If India has any hopes of unearthing at least one good fast bowler, they need to keep these bowlers from playing in too many meaningless tournaments. After a long time India has finally found 3 bowlers who can bowl in upwards of 140 KMPH regularly with Aaron able to touch 150 KMPH. This is the right time for BCCI to invest in these bowlers and make sure they don’t fall by the wayside. India also has some young exciting fast bowlers like Sandeep Sharma and Anureet Singh who need to be nurtured. It will be helpful for these bowlers to play in county cricket on helpful pitches to learn their trade rather than getting hammered around in the meaningless T20 leagues on flat pitches. These are exciting times for an Indian fan as for the first time we have bowlers who can bowl really fast but unless they are taken care properly we might lose them quicker than we realize. India’s international season starts right after the IPL and hopefully we will have the fast bowlers fit and available to be picked for India. The board and the coaches need to step up and work on keeping these bowlers fresh for international games. IPL is a good launch pad for young and upcoming players from domestic arena and it should stay that way. BCCI has enough finances to keep these young bowlers away from the T20 leagues and allow them to play more first class games which is the only way these bowlers are going to improve their skills. Let’s hope that things will change and the current crop can actually achieve what they set out to do and don’t become another Irfan or RP Singh. The ODI series was a major disappointment for the young Indian team. The Indian team which reached the New Zealand shores as number 1 in the world was knocked off the perch by the spirited hosts. The Indian team struggled on the field with the ball and their much celebrated batting lineup failed to get the team out of the hole this time. The bowling attack has been extremely disappointing and as Dhoni said the team is still not certain about the bowling combination for the world cup in 2015. The pacers were not able to stem the flow of runs and the spinners were not able to get the breakthroughs in the middle overs. Mohd Shami and Bhuvneshwar Kumar started all the games well with wickets at the top but lost steam in the middle and later overs. The third seamer was extremely disappointing too. Varun Aaron and Ishant Sharma both went for plenty of runs and it is extremely difficult to imagine who will be part of the Indian team in a year’s time. The spin department struggled to get wickets on this tour. Jadeja and Ashwin comparatively were economical to the rest of the attack but they hardly picked any wickets in the 5 games they played. Even though Ashwin and Jadeja lengthen the Indian batting order, their primary job is bowling and it seems like they would not be that effective overseas. India needs to find spinners who can pick up wickets in the middle overs along with containing the batsmen. The New Zealand batsmen were never in any pressure to accelerate as the bowling was extremely pedestrian and allowed the batsmen lots of freebees to score their runs from. The batting too was extremely disappointing. Rohit Sharma and Dhawan struggled throughout and so did the middle order of Rahane and Raina. India dropped Raina in the later part of the series and Rayudu was reasonably okay but never kicked on after starts. The Shining lights of Indian batting again were Kohli and Dhoni. The both of them were the reason why India got closer in all the games. This has thrown lots of Indian plans haywire as this series has shown that the Indian ODI side is not as effective overseas as they would have imagined. India would be defending their title in less than year in New Zealand and Australia and this series should mark as a wakeup call. The bowling attack needs to be seriously looked at and it will be interesting as to what changes we can see for the next all important tour to England. The test series which begins in a day will give the young Indian team to perform better and salvage something from an already disastrous tour. The batting has a chance to redeem themselves in the test series but the bowling will be the one on the scanner again. 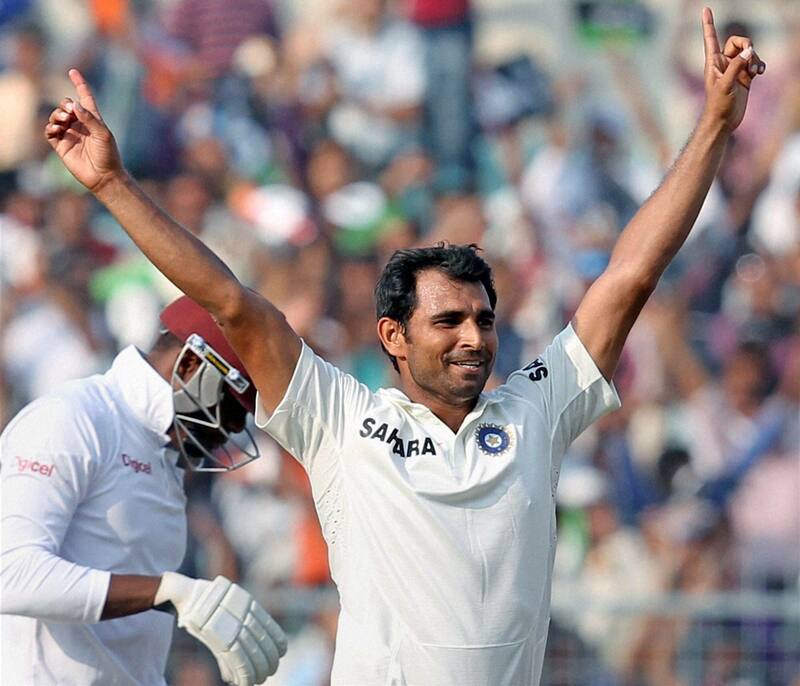 It will be interesting to see who will partner Zaheer Khan and Mohd Shami in the first test. Umesh Yadav should be in the top of the pile to be considered for the first test. Ishant Sharma, Bhuvneshwar Kumar and Ishwar Pandey will be fighting for one spot if India plans to go with 4 pacers. India would also be picking from Ashwin and Jadeja as the lone spinning all-rounder in the squad. Jadeja was excellent in South Africa and the only concern for Dhoni will be his batting. Ashwin hasn’t bowled well in the last couple of months so it will be a hard decision for the think tank to make. The test series will begin tomorrow and India need to perform well to salvage something out of this tour. 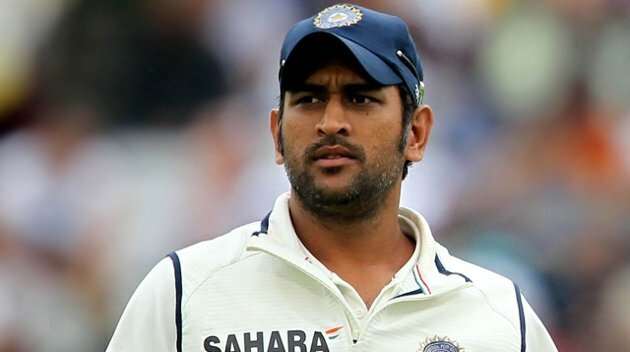 India got very close to winning the first test in South Africa and Dhoni will be hoping that the team would bounce back from the disappointing ODI series. The Indian test team looks more settled than the ODI team. The inclusion of Pujara will be very reassuring for the middle order and Rahane might get pushed up the order to accommodate another pacer in the squad. It will be an interesting series between two young sides and both teams would be hoping for great performance in the coming few days..